Celebrity English: Iron Man 3 is Out! Iron Man 3 is Out! Iron Man 3 just hit the US movie theaters last week! Iron Man 3 stars Robert Downey Jr, as Tony Stark (aka Iron Man) and Gwyneth Paltrow as Pepper Potts. 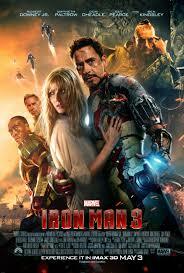 Under the direction of Shane Black, Iron Man 3 made the second largest North American debut with $175.3m. Iron Man 3 is a 2013 American action adventure superhero film featuring the Marvel Comic’s character Iron Man. 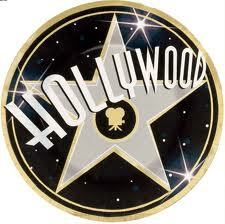 Filmed mostly in North Carolina, with additional shooting in Florida, China and Los Angeles. The film's visual effects were handled by a number of companies, including Scanline VFX, Digital Domain, and Weta Digital. Brian Tyler was the primary composer of the music for Iron Man 3. The score was recorded with the London Philharmonic Orchestra. The reviews have been pretty good! 77% average on the Tomatometer with 83% approval rate! Recently Robert Downey Jr. and Gwyneth Paltrow were on OMG Insider! It is easy to see why audiences love these two! Besties? How well do they know each other? Listening Practice: How well do they know each other? Write down the questions and answers that you hear from the Quiz/Conversation between Robert Downey Jr. and Gwyneth Paltrow from the above video. You will probably have to listen to the video a few times. For the answers, just use a note form because some of the vocabulary is kind of specialized. However, "good for you" if you can catch all of answers. Then decide if Robert Downey Jr. and Gwyneth Paltrow are "Besties" (Besties = Best Friends). What was Robert's first role? One of his Dad’s movies? What was her first role? What is Robert's middle name? I don't know, what is it? What is his favorite kind of yoga? Oh, my god, I know his teacher. I don't know what the name of it is. What type of yoga does she do? Is it my sore technique? I haven't seen her do yoga for a while. (2)What do you think? Are Robert Downey Jr. and Gwyneth Paltrow "Besties"? They claim to be Besties but from this Quiz you would have to answer “No”. I will definitely go to the cinema to watch this film! The idea they choose to go with by the end, is what will disappoint people for a very, very long time. I didn’t mind it and yet, I still can’t say I loved this. Good review Alex. Lynhthy Nguyen is on Fire!